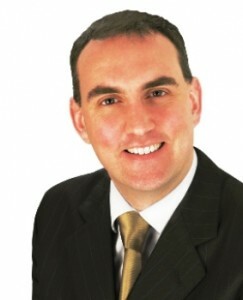 Fianna Fáil Sligo-Leitrim Senator Marc Mac Sharry has hit out at Bank of Ireland over its decision to impose minimum withdrawals and lodgements for personal and business customers. The move will force customers to use ATMs unless they are withdrawing more than €700 or lodging over €3,000. Senator Mac Sharry commented, “This regressive decision will have a major impact on personal and business customers across the North West. Communities here have already seen the erosion of services over the past few years with cuts to small schools, the closure of Garda stations and Post Offices as well as the banks themselves closing branches in smaller towns and villages. Now Bank of Ireland wants to impose new restrictions on their customers to limit the services they are entitled to. “This is extremely short-sighted and is a further erosion of services. Bank of Ireland is now trying to remove one of its last remaining personal services – over the counter banking. Having already introduced cashless and paperless banking, it now appears as if it wants to go down the road of removing personal banking. “While I understand the efficiencies that come with a modern banking service, Bank of Ireland should not be forcing through these decisions, at the expense of customers, particularly those who are elderly. These new rules pose serious security concerns for older people, while some have adapted to online banking, the majority do not engage with online services and prefer to do their business face-to-face. This could see older people keeping more cash in their homes if they are unable to lodge it in their local branch. “The decision will remove the personal touch from their banking services. People like doing business with people they know and trust and now that that personal touch is being removed customers may feel less inclined to continue to bank there. More efforts should be made to protect this way of life, rather than trying to centralise services or move them online. “These decisions are destroying the fabric of our society and it’s time for the decision makers to realise that economic cost savings should not come at the expense of the social values of Irish life”.